One of a kind, Stuart Spear custom designed lakeview Tahoe-style home, located in the prestigious Hidden Woods development. Enjoy spectacular sunsets over Lake Tahoe and the Sierra's. 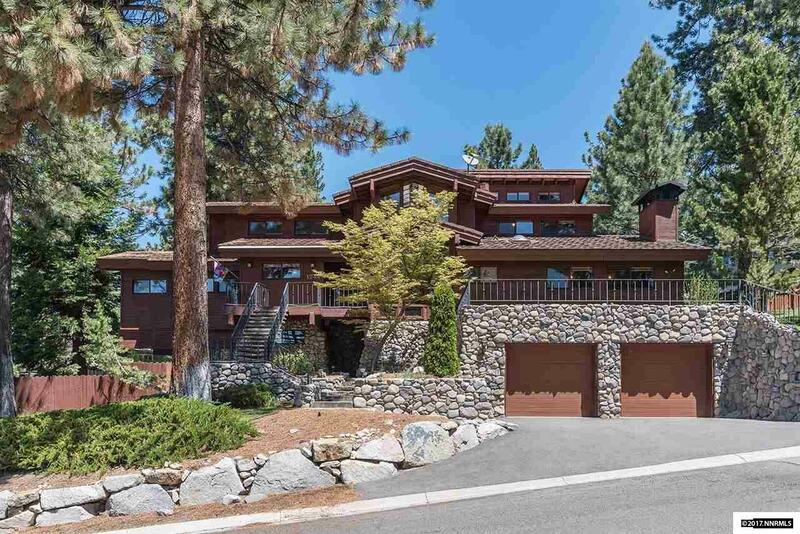 This perfect Tahoe getaway has extraordinary architectural features, including a breathtaking work-of-art burl wood stairway and an indoor built-in river rock jetted spa - complete with waterfall. The use of natural river rock, granite, clear cedar redwood and travertine give the home a warm and inviting feel.